An allusion of "olde" and a bit whimsical. 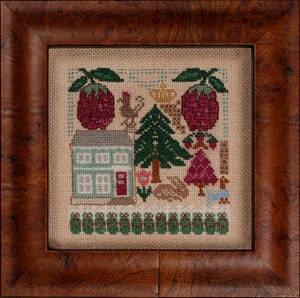 The tenth design of the Fruitful Series features raspberries and other fruit forms amidst various creatures in the yard. Stitched over one thread throughout on hand dyed 29 count "Muffin" linen it is sure to afford the continuation to a fine collectable series of miniature designs.